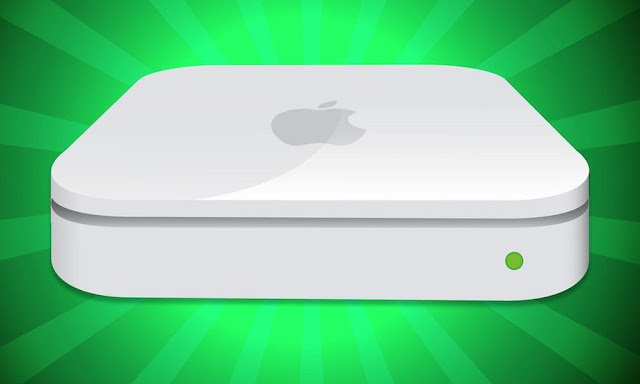 Apple this week announced it’s officially ceasing production and future development of its AirPort wireless router systems, including the AirPort Express, AirPort Extreme, and both variants of the popular AirPort Time Capsule, according to a memo released by the company on Thursday and obtained by iMore. Apple’s $99 AirPort Express, $199 AirPort Extreme and $299 AirPort Time Capsules have not been updated since back in 2012 and 2013. A Bloomberg report from November 2016 confirmed that Cupertino had “abandoned development” of its proprietary wireless router lineup, and reassigned engineers to work on other inside projects. It was as far back as January of 2016, however, that Bloomberg’s Mark Gurman confirmed Apple had begun winding down its development of AirPort products in an “effort to sharpen” focus on other “consumer products that generate the bulk of its revenue,” such as iPhone and Internet Services like Apple Music and iCloud. Earlier in 2018, Apple began selling third-party router solutions via its online and retail store channels — with one of the first units offered being the premium $349 Linksys Velop Mesh Wi-Fi system. What About Current AirPort Owners? While Apple’s plans entail a complete discontinuation of developing new AirPort products, the company announced it will continue to sell its existing lineup in stores and online until inventory has been depleted. And, moreover, the company will offer service to new and existing AirPort customers from now and up to five-years from the time of original purchase. In a support document published to its website on Friday, Apple offered up a series of tips and guidelines on how to choose a quality wireless router to use with Apple products like Mac computers, iPhone, and iPad. For example, the company recommends choosing a Wi-Fi system based on the latest 802.11ac standard with dual-band support, WPA2 encryption, and either Multiple Input Multiple Output (MIMO) or Multi-User MIMO standards. Still, while they’re currently a few years old, Apple’s AirPort routers are among the most technologically advanced around, and offer Apple device users a slew of benefits which are inherently unavailable through most third-party systems. AirPort Express, for instance, currently boasts support for AirPlay functionality built-in — and Apple’s AirPort Time Capsules feature support for backing up data via Time Machine on OS X and macOS computers. Unfortunately, those looking to pick up an AirPort Wi-Fi system won’t find any discounts through Apple or its authorized service providers, at least for the time being.